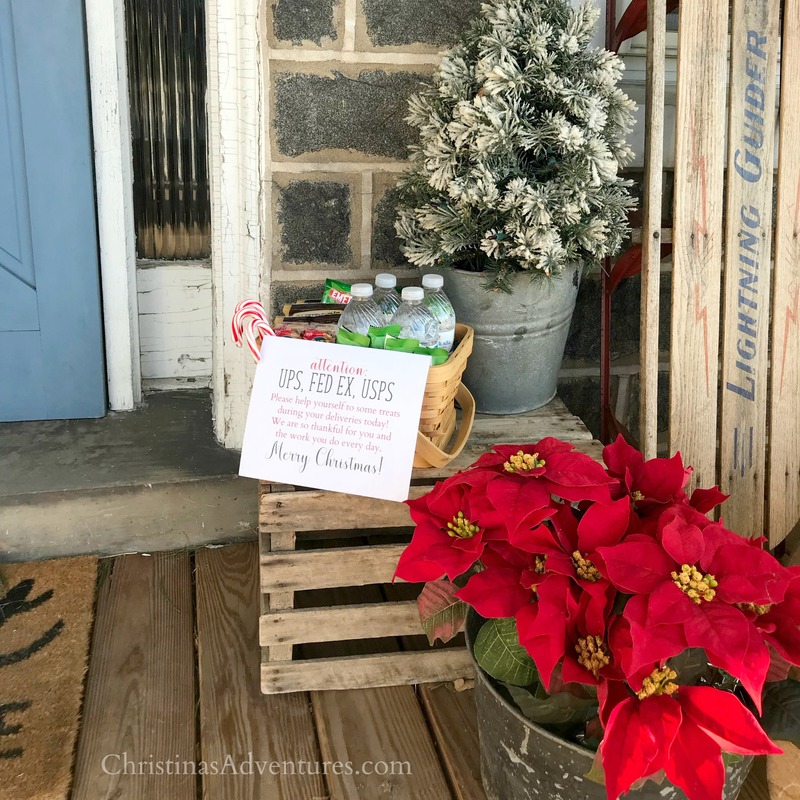 Make this easy mail carrier gift by adding some snacks, drinks, and a note by your mailbox. Free printable sign included at the bottom of this post. It’s Christmas time and we’re all super busy, but I promise this will only take you a few minutes to put together! 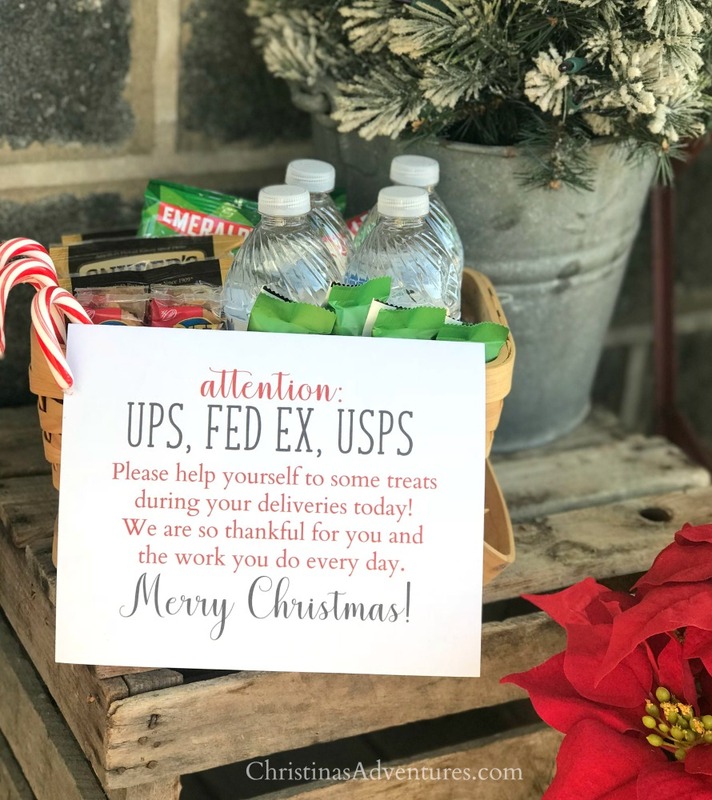 It’ll only take you a few minutes, but it could really help to put a smile on your mail carrier’s face this Christmas season. I just put a little basket out with some goodies and this sign. We put out water bottles, cracker sandwiches, bags of mixed nuts, pretzels, granola bars, and candy canes. Use whatever you’ve got to share or go out and get some new goodies – I guarantee they’ll be thankful! And to make things even easier? You can just print out your signs right here! Let me know if you print them out & use them – tag me on Instagram or Facebook! Let’s spread some Christmas cheer together this year! 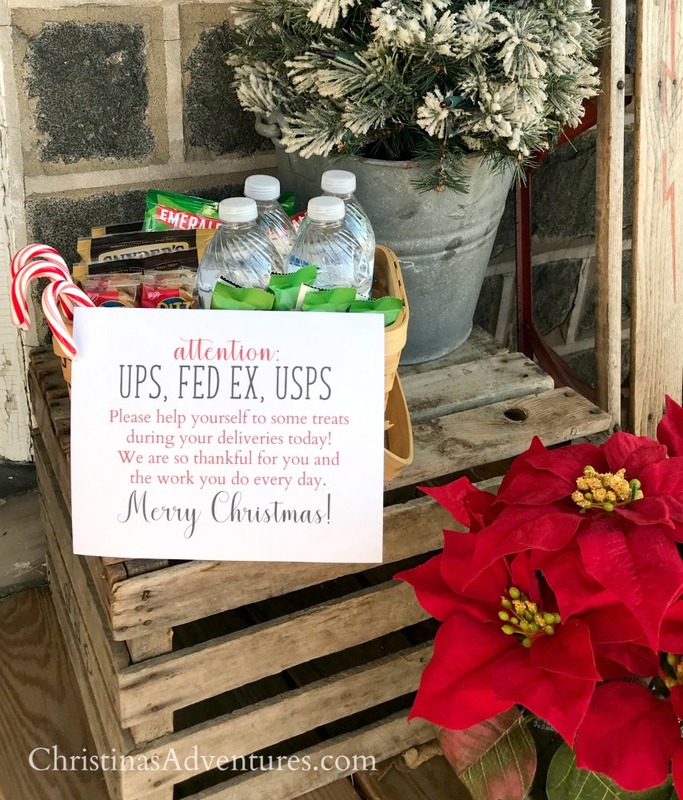 Looking for a different mail carrier gift this year? This is what we’ve done in the past and it’s perfect if you’re somewhere with cold winters like we have!